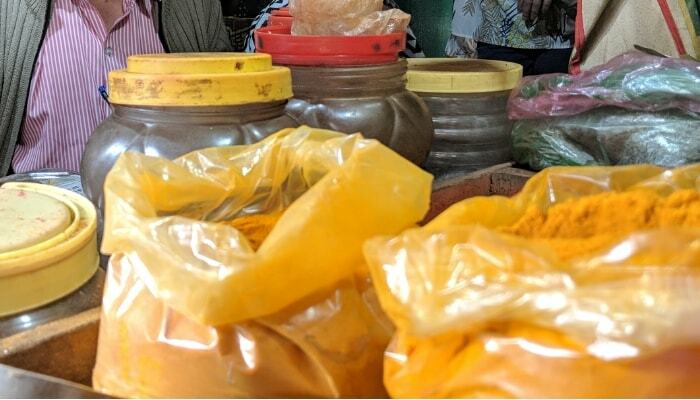 How Adulteration In Turmeric Powder Happens and Can You Avoid It? We Indians consume turmeric everyday. Unfortunately, purity of the turmeric you buy is becoming a matter of concern. Buying loosely sold turmeric has a higher chance of being adulterated. Are you aware of how adulteration of turmeric is happening? Let us help you uncover this unpleasant situation. You have come to know about the amazing uses of turmeric, Curcuma longa, the golden yellow spice. Its culinary and medicinal applications are extensive. It is as popular with homemakers as with Michelin chefs. Traditional healers trust it and pharmaceutical honchos covet it. Scientific confirmations about turmeric extract curcumin’s excellence as curative ingredient keep increasing. This only raises the bar on turmeric’s popularity and demand. Fabric designers too have no wish to stay out of the race. Turmeric is a fantastic natural yellow colour dye. No wonder the rush for the golden spice keeps rising and suppliers struggle to cope up with the demand. In many ways, this golden spice has been robbed of its true value! Let us find out how? This unabated demand for turmeric is proving to be a boon for marketers but a bane for consumers. The problem of adulteration is higher in powdered turmeric, the most used form of the spice. Adulterants may be turmeric of low quality or cost or a different material altogether. Mixing other ingredients with powdered turmeric is easy. Distinguishing superior from inferior quality turmeric powder by visual inspection is not easy. The type of adulterants or the act of adulteration itself does not bother unscrupulous marketers. Market dynamics and economic gains are what drive them to adulterate. Incidental. Contamination with pesticide residues, animal droppings, insect larvae getting mixed by accident. Intentional. Deliberate addition of completely different compounds or materials. For example, sand, sawdust, chalk dust, chemicals, and industrial dyes for unfair gain. Cassava (Manihot esculenta):- A popular root vegetable that people cook before consuming, with the skin But raw cassava contains cyanogenic glycosides. Eating raw releases cyanide into the body which can be fatal. Curcuma zedoaria:-. Also called zedoary or white ginger. Curcuma xanthorrhoea:- Also called Javanese ginger. Curcuma malabarica: – Native to South India. Most common organic adulterants in turmeric powder are other species of the Curcuma genus, according to reports. These turmeric species have curcumin content and near-identical yellow colour, thus escape detection. Besides, the Indian Standards Bureau has set the minimum limit of curcumin content at 3%. Tests for curcumin would easily confirm the stipulated percentage. This makes it easy for fraudsters to escape prosecution. Different surveys reveal different results. Some samples, upon analysis, show more of the wild species of turmeric than the culinary Curcuma longa. In the final analysis, the customers end up paying for something they did not buy. They become unwitting victims of economic fraud. Still, mixing Curcuma longa with other turmeric species may only lower its quality and cheat customers of right price and product. But, mixing potentially toxic chemicals is downright criminal and should be punishable by law. A yellow or orange-yellow crystalline inorganic compound used as an industrial pigment. It is a strong oxidising agent and gives out toxic fumes of chromium when heated. Lead chromate is highly corrosive and dangerous for the lungs and gastrointestinal tract. It can also cause cancer. This synthetic compound contains benzene and sulphur. It is very often added to turmeric. This chemical is not permitted as additive and colour for foods. It poses potential health hazards such as cancer, oxidative stress, damages to the liver and gastrointestinal tract. A red light orange chemical compound mainly used for dyeing wool, silk and making hair dyes. Studies of fish affected with effluents from textile industries found them exhibiting erratic swimming behaviour. Researchers also noticed changes in blood chemistry and other physiological disorders in them. A reddish-orange industrial dye used to add colour in shoe and floor polishes, plastics and fabrics. But it finds its way in food especially chilli and turmeric powders. Sudan red is toxic, can cancer and damage DNA. Is there a way to differentiate between real and fake turmeric? Yes, read the quick & easy ways to test turmeric. Do you know turmeric can undo health problems of more than 30 deadly diseases? Download this ebook to find out more. World Turmeric Production: India remains the world’s largest producer and exporter of turmeric and its oils. The exports include the powder, rhizomes, essential oil, and oleoresin among other compounds. The country consumes 80% of its own produce. 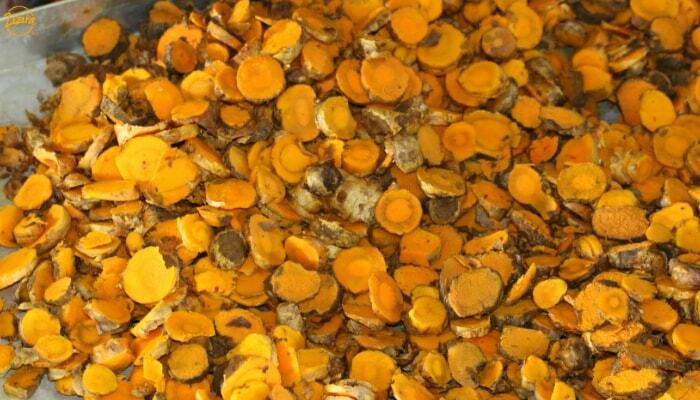 It exports only about 8 to 10% of turmeric it produces. China, Myanmar, Nigeria and Bangladesh are among other important turmeric growing countries. But their production is low in comparison with India’s. The southern States, especially Andhra-Telangana and Tamil Nadu, top the list with 80% of India’s output in turmeric production. Maharashtra, Odisha, West Bengal and Assam follow next. Andhra & Telangana produce 60% of the country’s turmeric. Tamil Nadu produces 13% and Odisha 12%. The country grows about 30 varieties of turmeric. But importers’ favourites rest with only two. One is the Alleppey variety from Kerala; the other is the Madras from Tamil Nadu. 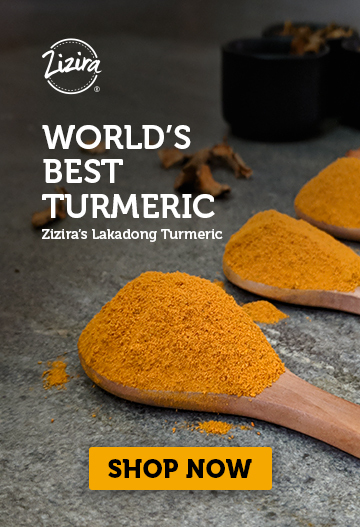 The north-eastern State of Meghalaya produces the famed Lakadong turmeric. But its meagre output of only about 3.8% (16,000 metric tonnes) puts it nowhere on the country’s turmeric map. There is, however, a downward trend in India’s turmeric production in 2018-2019. The estimate is 485,719 metric tonnes of the dry crop, down by 74,458 tonnes from last year’s. 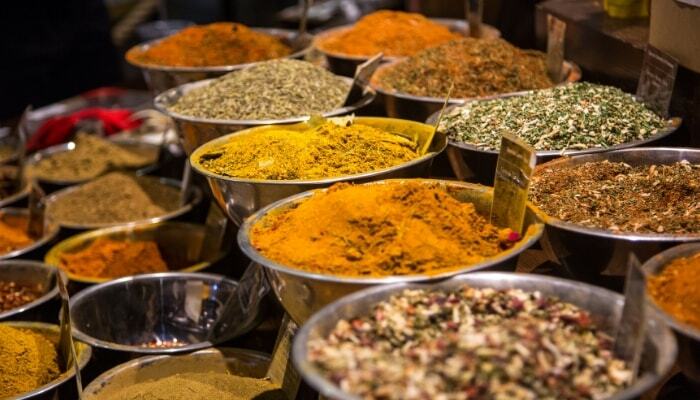 In the world market, USA is the largest importer of turmeric and its compounds. The increasing popularity of turmeric-based extracts and supplements triggers this high demand. In 2016 the turmeric supplements market in the USA was $69 million, up by 3 times from 2013. This is not including sales Wal-Mart, Costco and Whole Foods supermarket chain sales. India, despite being the largest producer, is also the second largest importer. Oleoresin extraction is the prime reason for this import. India could export only 86,000 tons in 2014-2015 and 88,500 tons in 2015-2016, about 8% of its annual production, because of huge home demand. 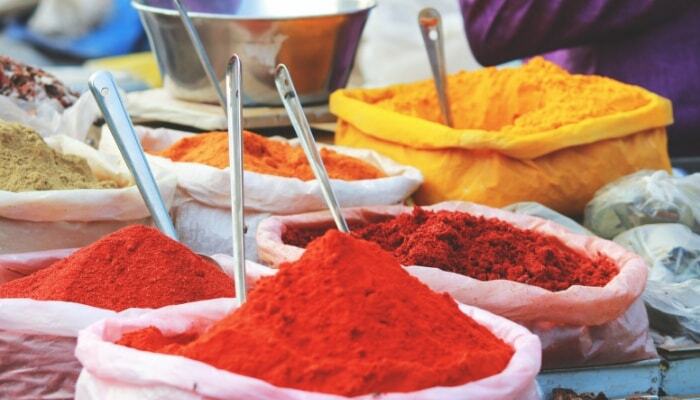 The major importers of Indian turmeric are the UAE, the USA, Japan and the UK. The 1980s first saw the scientific community’s recognition of turmeric’s intrinsic medicinal value. Since then the worldwide demand for the rhizome has undergone a growth rate of 10%. There is no sign of the trend abating, according to the International Trade Centre, Geneva. Now, with all this going on, is there a way for consumers to avoid consuming adulterated turmeric? Sure there is. Buy only from genuine and certified sellers. Do the research; scour the testimonials. Such sellers will certainly have the credentials you can trust. You don’t want to end up paying for spurious stuff that would also cost your health! Genuine turmeric might cost a mite more. But the stamp of genuineness and quality will more than offset the cost. It will give you that assured peace of mind without you having wonder or bother. There are a number of genuine sellers. Zizira is among the foremost. This information is very useful for the common man to find out the adulteration in Turmeric. I am interested to read such type of information on spices. We’re glad you found this blog helpful.